Conferencia introductoria al congreso, presentada por el Dr. Miguel Altieri, presidente de SOCLA Sociedad Científica Latinoamericana de Agroecología. Who will Feed us in a Climate Crisis? Quivira Coalition Conference, produced by LivingWebFilms.com – This year’s 11th Quivira Coalition Conference in Albuquerque, NM on Nov 14th, 2012 was focused on How to Feed Nine Billion People From the Ground Up: Soil, Seeds, Water, Plants, Livestock, Forests, Organics, and People. In this conference, Quivira Coalition explored a variety of innovative practices that are already successfully intensifying food production while preserving, maintaining, and restoring the natural world. Speakers shared their hands-on experience and ideas for feeding all life – from the ground up. Dr. Miguel Altieri has has been a Professor of Agroecology at UC Berkeley, CA since 1981 in the Department of Environmental Science, Policy and Management Agroeco.org and Berkeley. 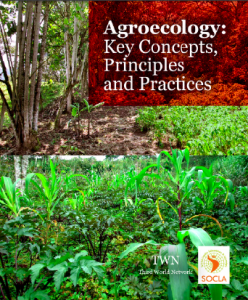 Dr. Altieri served as a Scientific Advisor to the Latin American Consortium on Agroecology and Development (CLADES) Chile an NGO network promoting agroecology as a strategy for small farm sustainable development in the region. He also served for 4 years as the General Coordinator for the United Nations Development Programme’s Sustainable Agriculture Networking and Extension Programme which aimed at capacity building on agroecology among NGOs and the scaling-up of successful local sustainable agricultural initiatives in Africa, Latin America and Asia.